Although modern vintage enthusiasts tend to focus mainly on clothes, accessories, and hair, makeup is an incredibly important part of the various retro styles. Thus this is a new miniseries that will focus on each of the “retro” decades and the kind of makeup that was worn in those days. Naturally, you don’t need to scramble through every website to find the perfect products to be able to recreate the spirit of a certain decade, this is just meant to be a series of guidelines and possible inspiration. The 1940’s look has been revamped by modern vintage and retro enthusiasts and it is this look that we often see in burlesque, modern pinup, and vintage recreations. However, think about what actually happened during the 1940’s. There was a World War going on for a significant part of the decade, with several consequences. From a makeup perspective, women entering the workforce to work in factories meant less time could be spent in front of the mirror. Rationing and limited finances meant that fewer products could be purchased. At the same time, makeup became a way for women to keep their morale high. That’s what I truly love about this decade, a refusal to be limited by your circumstances and to still take the time to look feminine and beautiful even when the world is burning. It shows a remarkable resilience, stubbornness, and truly emphasises the concept of ‘keep calm and carry on’. It is this unique concept you need to keep in mind when aiming for a 1940’s makeup look. Foundation: The 1940’s favoured a fairly heavy foundation, where powder was liberally used. Compact powders were popular due to their practicality and how easy they are to use compared to loose powders, which was a godsend to the many women entering the workforce during this decade. Typically, foundations were a shade darker than people’s natural skin tone and then a light powder was added to lighten up the face and bring it back to its natural colour. Think of it as contouring if it helps explain the concept. Modern advances in makeup mean that you can simply use a matte foundation in your natural shade to get the same result. Eyes: Black mascara with very long and rich upper lashes is a key feature of 1940’s makeup. Eyeshadow focused mainly on the sockets and the modern idea of highlighting just below your brow wasn’t that common yet. Usually neutral shades in beige and brown were used to create an understated eyeshadow look. The winged black eyeliner was fairly popular in the 1940’s but not as exaggerated or common as we often see today. The important thing is that the lower lash line was left untouched and the lower lashes didn’t always get a coat of mascara. The winged eyeliner was worn mainly for fancier occasions and everyday looks often focused on foundation, lashes, and lips. It’s the differences between Hollywood’s red carpets and the everyday woman going to work or doing housework. Caked mascaras were still popular during this era. Eyebrows: The 1940’s eyebrows were shaped into a clearly defined arch but weren’t as overly plucked as the 1930’s. Vaseline was used to hold them in place. Cheeks: For many ordinary women, practicality and limited finances meant they used their lipsticks as rouges. Rouge was also in short supply in war-torn Europe, which further contributed to this practice. Colours from the red and pink spectrum appear to have been favoured and rosy cheeks are a very common feature in fancier forms of makeup during this age. Start at the apple of your cheeks and apply outwards. Think of where your cheeks naturally darken during exercise or when being out in the cold. Lips: This is the truly iconic look of the 1940’s, the red lip. They were bold, deep, and rich. Women with thin lips sometimes used liners to create the illusion that their lips were fuller than they actually were, please note that there’s a difference between this practice and today’s practice of using makeup to create the illusion that you’ve had lip injections. Most lipsticks in this time were matte and sometimes women used a little bit of vaseline to create a different finish. Although red is the classic colour we associate with the 1940’s, pinks and reds with an orange undertone were also used. In the parts of the western world where rationing was more severe, women used homemade methods to stain their lips such as using beetroot juice. In some parts of the world, it was actually forbidden to develop new makeup during the war and even things like soap were heavily rationed. The red lip was so symbolic during the war that women were encouraged to plant ‘lipstick kisses’ on the letters they sent to soldiers to boost morale. 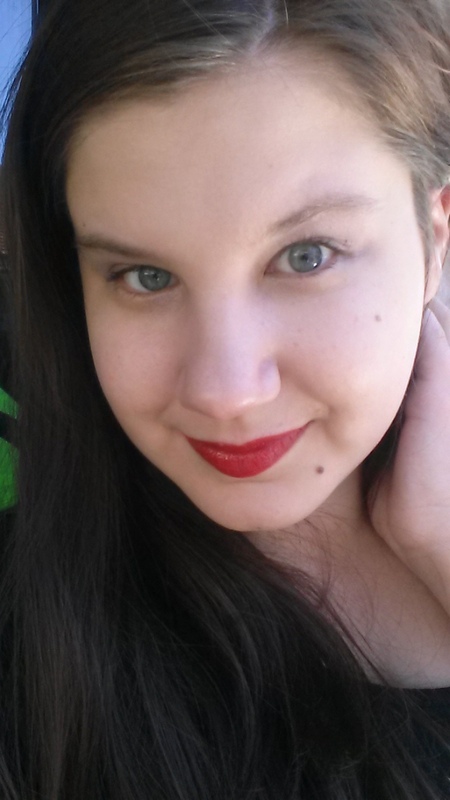 Foundation, lashes, and a red lip. Those were the staples of the average woman’s makeup arsenal during this time. The modern interpretation of the 1940’s look is often too extravagant in my opinion. It may be beautiful, but it does kind of miss the point of what makeup meant to women during this time. It is sensible and a statement in and of itself. The limited number of products used, the speed with which it was applied, and the bold statement lip makes it both very practical in terms of vintage looks but also a good look for those who have limited time or finances. Brands that were popular during this time was Max Factor, Elizabeth Arden (the company was actually asked to invent makeup for the Marine Corps Women’s Reserve), Estee Lauder (launched in 1946). Max Factor was without a doubt the dominant one. Tips for recreating the 1940’s look today. Limit the number of products you use. Skip the exaggerated contouring. Use a foundation that matches your skin and has a matte finish, it simplifies the process. Use a rouge that has a similar colour to red lipsticks and then be very careful with how you apply it, the goal is rosy cheeks and now clown ones. Apply mascara to the upper lashes primarily, use neutral eyeshadows with gold tones being used for very special occasions. Focus on the sockets and contouring your eyes in an understated way. Let the lips be the primary feature. No gloss, no nudes. Red. You can use either a matte or creamy lipstick, but matte ones were more common. Use a bold red that flatters your skin but that doesn’t look too vulgar. “Like a rose” is a good phrase to keep in mind when applying makeup in this style. An especially good brand for the 1940’s style is Bésame as they carry typical items such as caked mascara and lip colours that were actually worn during this era. This vintage video gives you a few ideas on the ideals of the time and how to trick the eye into projecting them. Great post! So interesting to see how makeup has changed over the years.